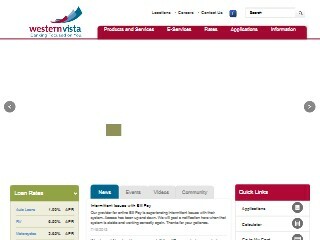 Description: Western Vista Federal CU is a business categorized under credit unions, which is part of the larger category credit unions-federally chartered. Western Vista Federal CU is located at the address 3207 Sparks Road, Cheyenne, WY 82001 in Cheyenne, Wyoming 82001-6152. You can contact by phone (307)634-2197. Location & access map for "Western Vista Federal CU"